The origin of All Hallows Eve stretches back to pagan times and the seasonal celebration of Samhain. Learn how people came to celebrate the holiday known today as Halloween. Elements of pagan celebrations were often incorporated into the new Christian religious festivities in an effort to ease newcomers into the Church. All Hallows Eve bridged the gap between two cultures and made the new religion sweeping Scotland more recognizable. In the culture of the ancient Celts, there were just two seasons to the year. Beltane covered the spring and summer months, while Samhain marked the end of summer, and with it the old year. The season of Samhain lasted through the autumn and winter months only to give way, once more, to Beltane. The Celts traditionally considered this day, October 31, the Celtic New Year's Eve, and they celebrated the passing of the old year with a great feast. Samhain was a time to remember the past and look forward to the future. As part of that tradition, the Celts took time to honor their dead. They believed on this one night, the veils between the worlds were very thin, and that the dead could come back to feast with family and friends. The Celts would place extra settings at their tables for these unseen guests. They would pile the plates with food and fill the cups with drink. As the legend goes, the spirits could visit this realm until dawn's first light, and then they had to return to their tombs for another year. Another facet of the evening was going from house to house to share a drink in celebration, and revelers would masquerade dressed in disguises as part of the merriment. Although this holiday was a time to feast and celebrate, not all the spirits were welcomed. Travelers on this night would hollow out a gourd, carve a scary face into it, and illuminate it with a candle to scare evil spirits away. The Celts also believed the night of Samhain stood beyond the boundaries of normal time, and that it was the most fortuitous night of the year for peering into the future. Some of their methods seem more like simple children's games or old wives' tales, while other practitioners of the Old Faith held more elaborate rituals to find out what the coming year would bring. As with most Pagan traditions and celebrations, the spreading Christian faith attempted to absorb Samhain and convert it into a new holiday that still carried aspects of the Feast of the Dead, but in a manner viewed acceptable to the budding church. Divination was forbidden since it was sternly viewed as meddling in the occult, but honoring the Christian dead was encouraged. The evening was to be considered as merely a prelude to All Saints Day on November 1, a day where all holy or "hallowed" souls were remembered. Instead of frolicking, the people were encouraged to use it as a night of reflection and preparation for the holy day to follow, and this was the official beginning of All Hallows Eve. The definition of All Hallows Eve is best described as a Christian holiday that falls on the day/night before All Saints Day. The holiday was the result of a blending of the Celtic celebration of Samhain with the Christian church's All Saints Day. The result was a new religious holiday that could be embraced by both groups. This type of mirroring of what the Church considered Pagan holidays and celebrations was the grand solution for bringing these cultures into the Church's fold. Although All Hallows Eve is still observed as a church holiday, the modern non-religious version is known as Halloween. Although the Christian church tried to phase out Samhain celebrations and practices, the origin of All Hallows Eve still echoes throughout the holiday now known simply as Halloween. For most people, All Hallows Eve celebration is completely secular, yet many of the ancient traditions of Samhain remain part of the evening. 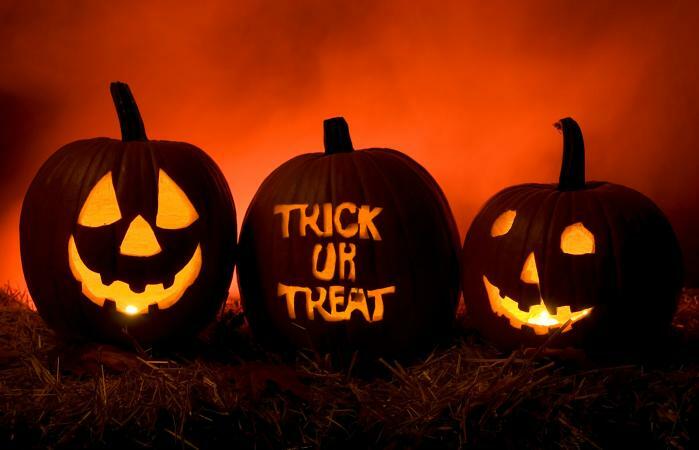 Trick-or-treaters still go door-to-door seeking treats while wearing masks or full costumes for the evening. The Jack-O-Lantern lives on in the form of carved pumpkins that light porches and yards. Of course, the spirits still heavily influence the festivities through ghost stories told in the dark. Yet, there are those who still celebrate the holiday in the original sense, and use it to commune with nature and the spirits, as well as to seek knowledge of the future. The history of All Hallows Eve reveals the melding of cultures and belief systems. The creation of this holiday served to unify and reinforce the bond between two distinct groups through a religious holiday.